We are currently in the process of having a large chair and ottoman reupholstered by them. Lucia Minas has been so helpful and creative with her suggestions and knowledge of fabrics and design. We who wouldn't go anywhere else! Over the past ten years The Fabric Showroom at Crimson Upholstery reupholstered my dining chairs twice, restored an old Scandinavian design sofa and brought back to life a 50-year-old armchair. I have been very pleased with their work. They are excellent--their work is of the highest quality, their prices are competitive, and their customer service is impeccable. Lucia Minas, the manager, is a delight to work with! I had never tried Crimson Upholstery, but heard that it was very good. I had them recover an antique chair and liked the work so much that I then had an antique settee recovered. Lucy was patient and very knowledgeable about the various fabric options, and handled all the ordering and logistics. She was very responsive by both email and phone. John came to my home both to advise on how much fabric I needed to order and to schedule pickup and delivery. John may have even been the one to work on my pieces. Bottom line: I am more than happy with the quality of the work! Everything was done exactly as promised with no budget surprises. I will definitely use and recommend Crimson for any upholstery needs I have in the future. Thank you, Lucy and John! I've been using Crimson Upholstering for at least the past 15 years. They reupholster all my furniture because the workmanship is so good, they have a nice selection of fabrics to choose from and they are professional as well. I highly recommend them!! I am so happy to have found Crimson Upholstery! This shop is first class - from their quoting process, delivery and pick up, and of course final product, these guys and gals know what they are doing and they do it well. The craft of upholstery has an amazing home at Crimson - whether they are reupholstering a dining chair, making new window seats or custom making furniture for one of my clients - Crimson never disappoints! 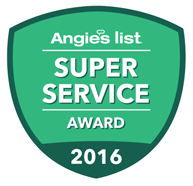 Read more reviews on Angie's List.